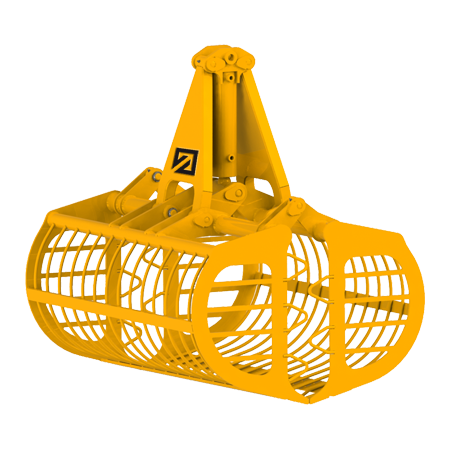 The hydraulic clamshell bucket is an equipment composed of two synchronized shells, moved by an hydraulic cylinder. Its body is made of S355, bushes are in casehardened steel while parts more used (such as blades) are made of a wear-resistant material. 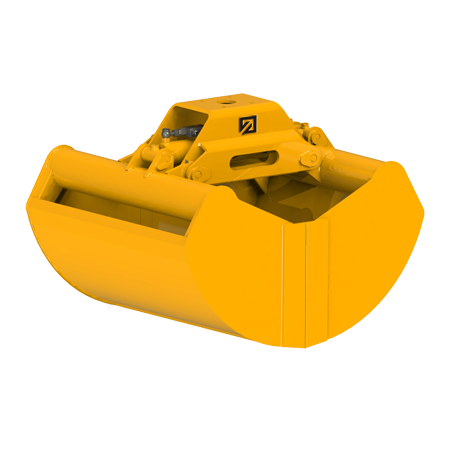 Clamshell buckets are available with one or two cylinders, that can be horizontal or vertical. 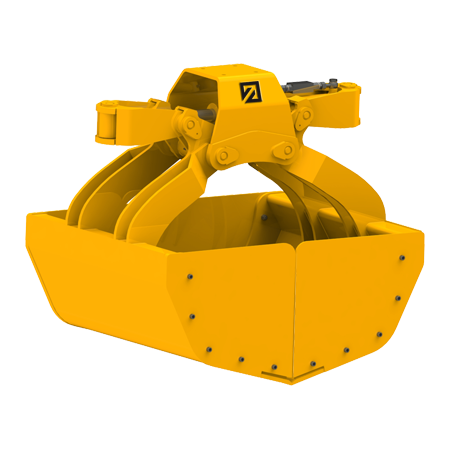 Clamshell buckets could be used for different materials loading and also for digging. You can load with clamshell buckets cereals, wood chips, brushwood, waste, paper, cardboard, sand, gravel, dirt, mud, food … as you can well understand the application fields are manifold, ranging from agriculture to construction sector, maintenance of green spaces and even railway maintenance. On request we can provide special equipment, for example with particular characteristics or with specific treatments for marine use. 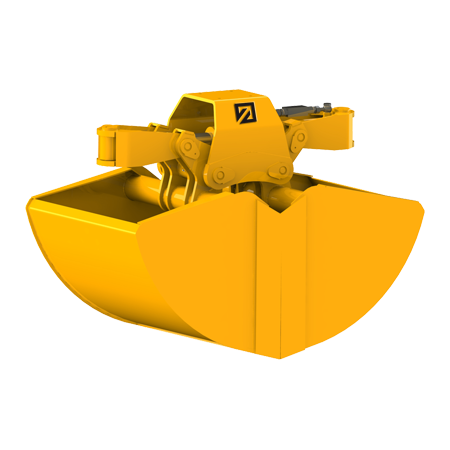 The clamshell buckets are essentially divided into two groups: light and heavy. Models light are: BOTLM, BOTLMR, BVT 1 and BVT B. They have one cylinder and are used for handling different materials, also waste. 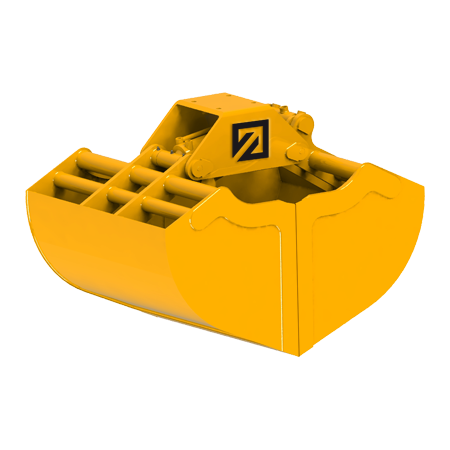 Heavy models are: BOTL, BOTR, BOTS, BOT2, BVT 2, used for intensive and heavy work. 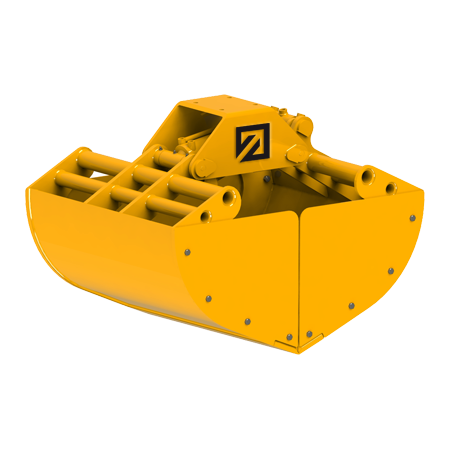 Our hydraulic clamshell buckets are mounted on truck or fixed cranes, forestry cranes, on mini telescopic articulated loaders, on wheels or crawler excavators, self-propelled excavators. We provide equipment with all the appropriate accessories according to the customer requirements! 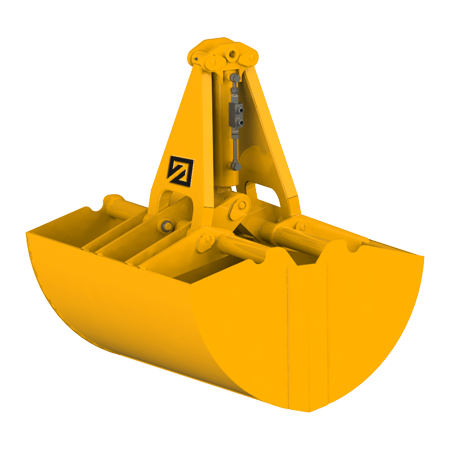 Hydraulic buckets are arranged for the machines on which they will be mounted, following tables in relation to the weight of the excavators or the lifting capacity at the boom of the crane arm, we create also special connections to fully satisfy our customer. 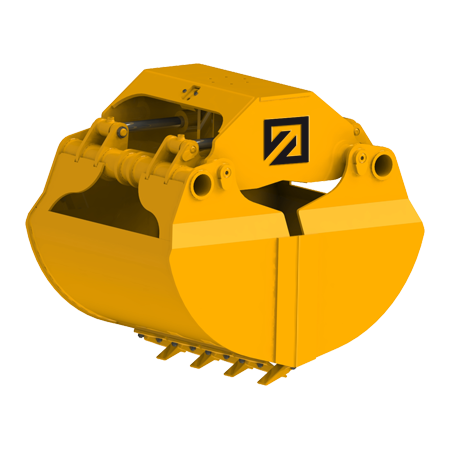 Hydraulic rotator: it’s mounted on the bucket body, it permits an hydraulic 360 ° rotation. An hydraulic rotator could be with shaft or flange. 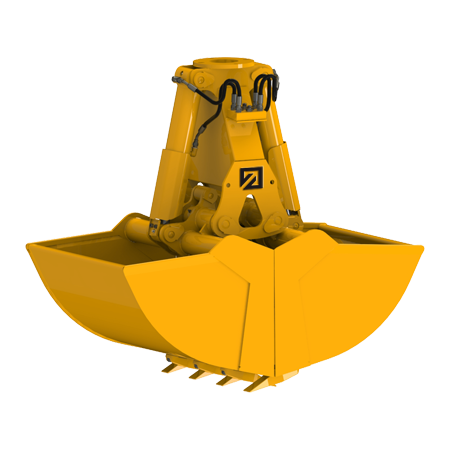 Mechanical rotator: it’s mounted on the bucket body, it allows a manual rotation of 250 °. You can find mechanical rotators with shaft or flanged. Teeth: equipment’s blades are drilled to have the opportunity to mount teeth for digging.